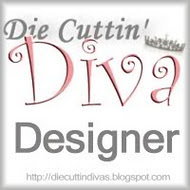 Hi and welcome to another Die Cuttin' Divas challenge. This week is a Sketch Challenge! Did you know? National Kids Day is August 5 and was created in 1994 by KidsPeace, a 130-year old National Children's Charity to encourage adults to spend more meaningful time with their children. Card is 4" x 8.5"
We look forward to seeing what you create!! Hi Pat!This cart is very popular and I rarely use it.That has too change..lol.Your card is very Sweet, adorable and brings a smile to anyones face...It made me smile. Fabulous card and great embossing. What a darling image! Great take on the challenge! I love your card! It is so sweet! And, you did an amazing job on it! I just love that cartridge! It is on my wish list! Super cute card! what a great take on the sketch Pat! Love the colors and cuts!! What a beautiful card. great embossing and sentement. Awesome take on the sketch!!! I love the embossing too! Fabulous job! Happy Birthday Diana Blog Hop! I'm the Guest Designer at Little Scrap Pieces!